The Italian Renaissance garden was a new style of garden which emerged in the late 15th century at villas in Rome and Florence, inspired by classical ideals of order and beauty, and intended for the pleasure of the view of the garden and the landscape beyond, for contemplation, and for the enjoyment of the sights, sounds and smells of the garden itself. This project is a Texas interpretation of that style. 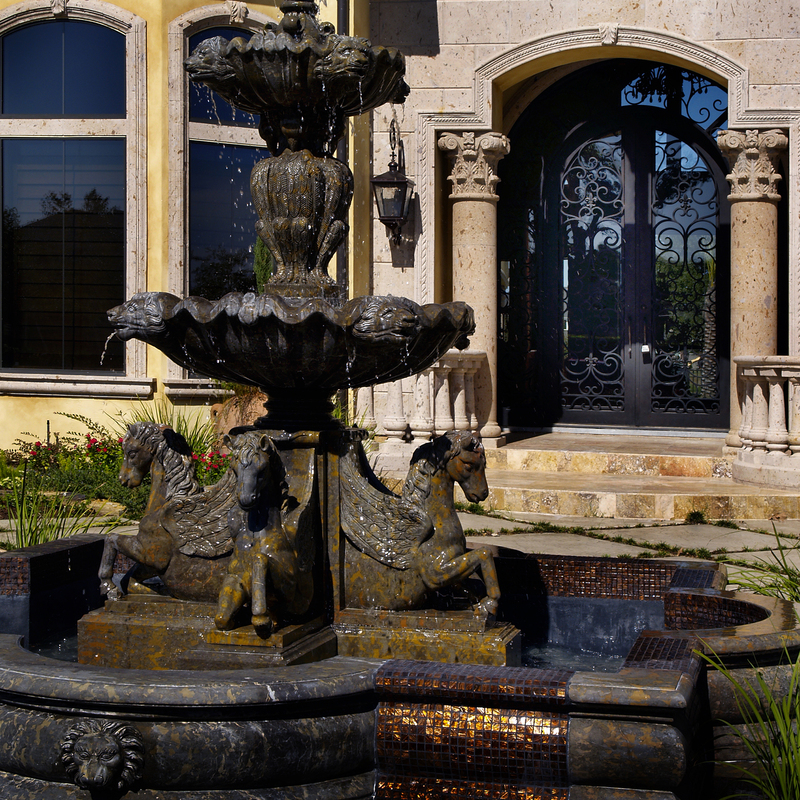 Custom designed fire bowls, fountains, pool and spa. Geometry is at the heart of this project which overlooks the fairways of a private country club. Unique vantage points were created throughout the property. 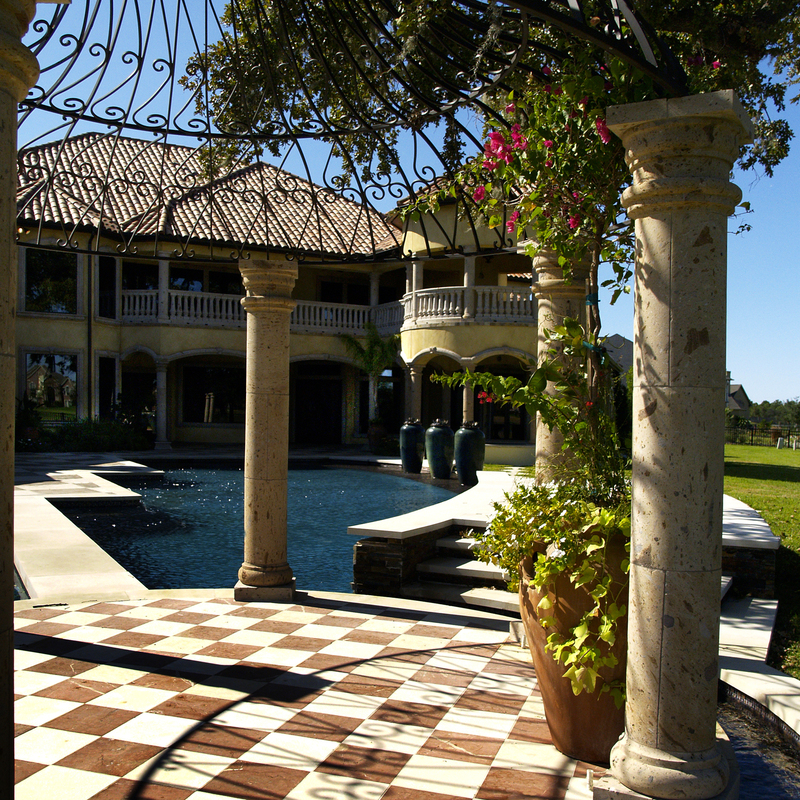 From the front door, across the pool bridge through to the loggia at the rear. Attention to detail is endless. Stroll across the sunshelf and discover 14k gold tile has been inlayed into the pool floor to provide that extra special sparkle.